Black Beauty: bow motif embroidery, front shadow panel, hemline edged with double sheer nylon and lace. 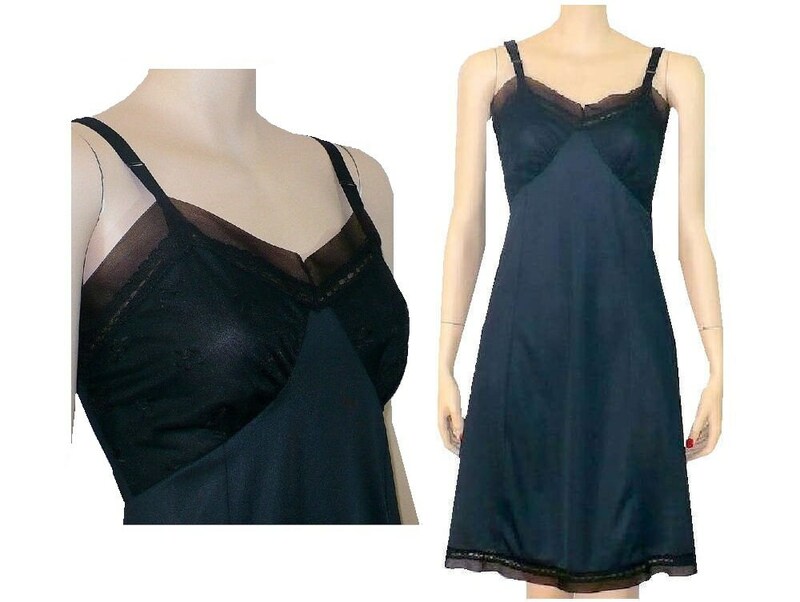 Romantic black vintage slip. 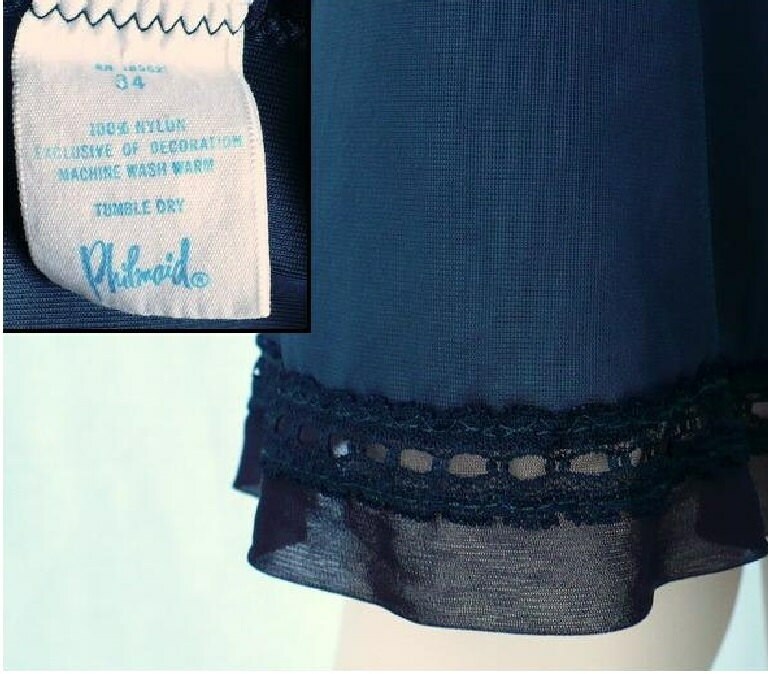 Length of side seam: 29"